Mental Skills Coach, Tonya Johnston, shares some strategies you can use to get past an event or situation that is, perhaps inhibiting your performance and/or enjoyment of the sport. Tonya is joined by amateur rider, Lauren Craft, who sustained a serious injury during a jumping accident. Together they discuss how to overcome fear. Equine activities can be hazardous and may subject participants to injury. 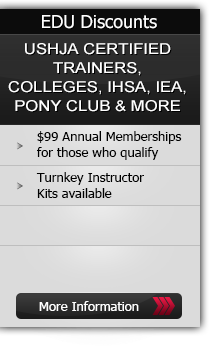 Neither Equestrian Coach, LLC nor Tonya Johnston assume liability for your activities. This program provides general instructions and techniques that may not be suitable for everyone. No warranty is given regarding suitability of these instructions to the viewer.